Our service man Joe Orca is excellent and we our very comfortable with him and look forward to having him as long as he works for Truly Nolan.We’ve been with Truly Nolan over 50 years.He is the best. always responsive if I have a problem between scheduled visits. We are pleased with the technicians who perform the services— professional, polite, efficient, thorough. As always for almost 50 years Truly Nolen has responded quickly to even the most minor problem. Great company and outstanding service. 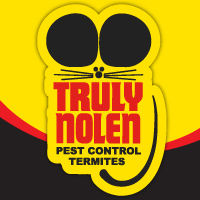 Am glad I chose Truly Nolen for my pest control needs.